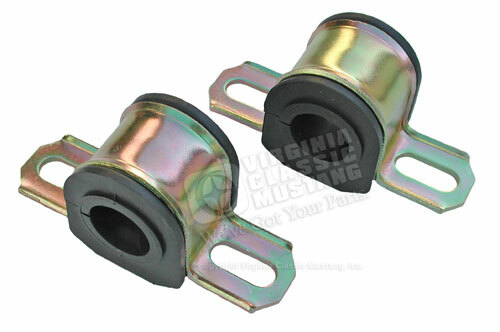 Mustang Sway Bar Bushings with Brackets. Fits 1 inch Sway Bar. Black ThermoPlastic Rubber. These bushings have the original apearance of rubber with the long lasting qualities of polyurethane. Also provides the High Performance qualities of poly without the annoying squeaks. Sold as a pair that does one car.